The Terrace Bar in Tbilisi's Vere Palace Hotel has a breathtaking view of the city. From our rooftop perch, we were greeted with the sublime scenery of the capitalʼs prestigious Vere district. Everything about the Vere Palace Hotel exudes charm, elegance, and luxury. What better surroundings to spend an afternoon with 2 lovely ladies and sampling some of the Republic of Georgiaʼs finest brandies. Heralded as the birthplace of wine some 8,000 years ago, Georgia is also renown for its grape vodka known as Chacha, and world class brandy. To maintain the highest quality standards, Georgia uses the French classifications of VS, VSOP, and XO. Today, I am joined by fellow sommeliers Medea and Shorena. Since my heyday with Georgian wines, I have come to know both ladies quite well and trust their palates implicitly. Georgian wine for India: "Khareba", "Teliani Valley", "Tbilvino"
26.06.2012. Winery Khareba company suspended negotiations with the Indian side, Teliani Valley and Tbilvino are still conducting negotiations to expand to Indian market, - reports Commersant. The Indian delegation arrived in Georgia to shoot the film “Billa 2” and initiative on bringing Georgian wine to Indian market came up in the framework of their visit. The Indians held negotiations with Georgian wine companies. Winery Khareba's director Zaza Gongadze said their talks were suspended, while talks with Teliani Valley and Tbilvino are continuing. According to Tbilvino's CEO George Margvelashvili, they are already involved in exporting to India and after the Indian delegation's visit they began negotiations with another company. Margvelashvili notes it is right moment to make Georgian wines popular in India. Margvelashvili underlined that the company has a unified export prices and is operating in India with these prices. Teliani Valley has not exported wine to India but the company says they are conducting negotiations as well. 26.06.2012. On 24 June 2012 Professor Kym Anderson spoke about Georgian wine industry at the AAWE-ICABR workshop "Technology and Innovation in the Wine Industry" in Avellino, Italy. Professor Anderson's presentation was entitled: ‘Is Georgia the next ‘new’ wine-exporting country? The roles of traditional vs. new technologies and trade alliances’. Professor Anderson’s presentation offers insights into Georgia’s place in the global history of wine markets and its potential. Yet another wine-producing country to watch with interest! 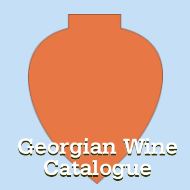 Highlights: Georgia has been producing and exporting wine for thousands of years, and until the trade embargo in 2006, the lion’s share went to Russia. Advantages include low labour and viticultural land costs by Western standards and recognition of Georgian GIs by the EU. Ukraine is currently the largest importer of Georgian wine but there is potential in the rest of the CIS countries and Europe as well as Asia. Professor Anderson is Executive Director of the Wine Economics Research Centre of the University of Adelaide (Australia). His research interests and publications are in the areas of international trade and development, agricultural economics, environmental economics, and wine economics. His most recent projects have focused on empirical analysis of such issues as the Doha Development Agenda of the World Trade Organization (www.worldbank.org/trade/wto); global distortions to agricultural incentives (www.worldbank.org/agdistortions); economics of agricultural biotechnology (GMO) policies globally (www.econ.worldbank.org/programs/trade/biotech); and wine globalization (www.adelaide.edu.au/wine-econ). He has published more than 30 books and 300 journal articles and chapters in other books. The American Association of Wine Economists (AAWE) is a non-profit, educational organization dedicated to encouraging and communicating economic research and analyses and exchanging ideas in wine economics. ICABR (The International Consortium on Applied Bioeconomy Research) is a unique, informal, international consortium of people interested in the bioeconomy, agricultural biotechnology, rural development and bio-based economy research. Country finds new markets to overcome Russian trade embargo that made sales tumble by 80 per cent six years ago. Archaeologists think viniculture began in Georgia. In the eastern Georgia town of Kakheti, wine-making is thought to have begun some eight thousand years ago. The industry nearly died out six years ago, when a Russian trade embargo cut wine makers off from their biggest market and foreign sales tumbled by 80 per cent. The business is now bouncing back after the country found new markets in Europe, the US and China. Al Jazeera's Rory Challands reports from Kakheti. - Saperavi 2007 - won a second Bronze Medal. These were only the Georgian products who won medals at this competition this year. For 73 years, the Los Angeles International Wine & Spirits Competition has showcased the finest domestic and international vintages through a wine-tasting event that is widely considered to be one of the most prestigious in the United States. An esteemed panel of judges uses a blind-tasting method, maintaining the highest standards of integrity and professionalism that has remained the competition’s foundation for seven decades. Nearly 3,300 wines and many hundreds of spirits were entered, tasted by a 72-member panel comprised of international judges. 21.06.2012. For the first time in a while, things are looking up for Georgian wine. Exports from the former Soviet state increased last year by 37.7 per cent, to 16.9 million litres. The dollar value wasn’t much by big-country standards, at $54.1-million (U.S.), but it pointed to a recovery of sorts, the highest figure since Russia imposed a crippling trade embargo in 2006. Before the ban, Russians drank a lot more Georgian wine than did tiny Georgia. Vladimir Putin’s government said the wines (and mineral waters) were contaminated, but many people cried foul, interpreting the move as a snub against the country’s pro-NATO stance. 21.06.2011 (Hvino News) Embassy of Georgia in Japan is announcing a Tourism Seminar "Invitation to Georgia", with participation of Prime Minister of Georgia Nika Gilauri. A Georgian wine tasting party will follow the seminar. The Embassy is inviting guests for the event, to be held on Tokyo in 27th of June. 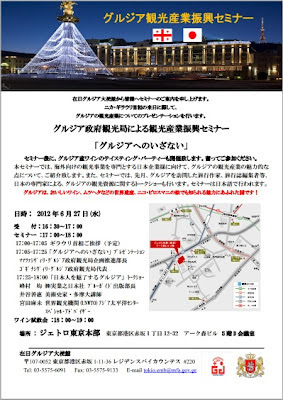 Seminar will be conducted in Japanese, at the premises of Embassy of Georgia in Japan at 1-11-36 Akasaka, Minato-ku, Tokyo. If you happen to be in Japan next week and are interested in attending, simply click on the photo or here to fill in the registration form and get event details. 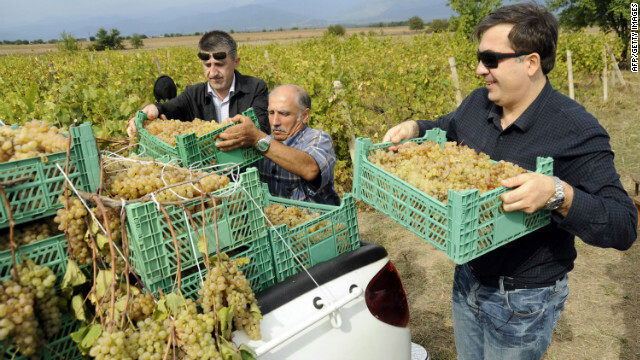 18.06.2012 (Hvino News) President Mikheil Saakashvili today was working at his vineyard in Kvareli, Kakheti region, where he sprayed chemicals and carried out other winemaker's work together with his neighbors. Kakheti's governor Giorgi Gviniashvili also joined the president. "I hope that this year we will have rtveli (harvest) like never before... New markets for our products have opened up, and domestic demand increased due to growing inflow of tourists... "- said Saakashvili. The president used new devices and chemicals in his vineyard. He said many new technologies became available to simplify farmer's work and raise productivity. He said that in the past the agricultural chemicals were imported from China, and their low quality affected harvest. Locals said this year they bought chemicals from Spain and were expecting better harvest this autumn. President of Georgia is known for his interest in wine-making. In 2011 president Mikheil Saakashvili bought a vineyard in Kakheti region, Eastern Georgia. The vineyard ​(half hectare area) costed about 20,000 USD. The vineyard has two varieties - Saperavi and Rkatsiteli. Construction of a private house next to vineyard costed about 28,000 USD. The house has three rooms, a cellar with two qvevris (large clay amphoras for wine fermentation, buried in the ground) and a satsnaheli (a special wooden container of grape pomace). The president often uses his vineyard house to host foreign visitors. 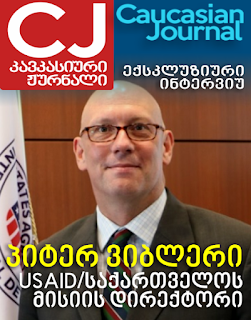 Georgian National Investment Agency (GNIA) published the following article in the latest issue of its Invest Today bulletin. Recognizing Hong Kong’s and Mainland China’s booming wine industry in 2011 Georgian National Investment Agency (GNIA) started the active promotion of Georgian alcoholic beverages, and one of the first steps has been submitting Georgian wine samples for the Cathay Pacific Hong Kong International Wine & Spirit Competition last year, during which Georgia won a trophy and 17 medals. 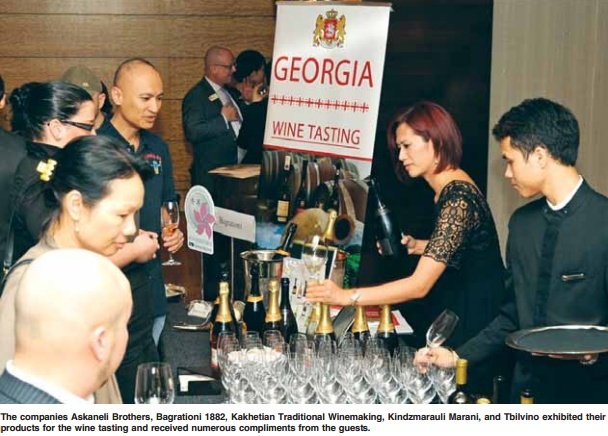 With the singular goal of promoting Georgian wines and increasing the export potential of local wine products, the Georgian National Investment Agency (GNIA) has embarked upon an Asian tour. From 8-12 June GNIA delegation visited China, Hong Kong, South Korea and conducted wine tasting evenings [see article in Hvino News].Georgian wine gains popularity on Asian market parallel to FT conferences, which have been a good platform for the Georgian Government to once again remind the international society on the favorable business climate in Georgia and successful reforms undertaken by GoG. When Archil Dolmazashvili, Commercial Director for Kakhuri Ltd., was growing up in Telavi, it had a sister city … Napa! Thereabouts is the overflowing heart of California wine. The sister city reached out for three students to come live with host families and attend high school. Requirements? Knowledge of English would come in handy. Dolmazashvili and two fellow students were on their way. Mid-1990’s. The host family lived at the city of Napa’s outskirts. Out back, a landscape of pastoral farmland. The Napa Valley wine boom rumbled inaudibly in the distance. Fast forward to spring 2012 andTelavi, with a city center in the midst of massive reconstruction. Even the faintest murmur of a coming boom would be drowned by the groans and tremors of heavy machinery. 14.06.2012. Despite the announcement of the government regarding Russian market’s strategic importance, a part of Georgian companies do not trust Russia. Recently Georgia’s Prime Minister announced that opening of Russian market for Georgian wine is among top priorities for the coming years (read more here). According to "Nabeglavi" [a mineral water brand] manufacturer, they prefer to concentrate on the existing partners who are from countries with a stable economy. The company's founder says that they will work on development of export to EU and Central Asia and will try to maintain customer’s confidence on the local market. Tbilvino, the largest wine exporter, believes that the Georgian wine producers will focus on Asia, and will be able to fully replace the Russian market. In addition, the company’s head notes that if Russian market is to be opened, it can be used as well. In his words, Georgian wine industry was not able to find a replacement for Russian market, however, Tbilvino managed to double sales after the Russian embargo. According to the company’s management, interest and demand for Georgian wine is still high in Russia, but in the case if the Georgian companies return to the Russian market it will take a long time to return to previous level of sales. 12.06.2012 (Hvino News) Since 2001, Tbilvino has been importing to Ukraine wines under same brand name. In 2011 about 410,000 bottles under Tbilvino brand were sold in Ukraine. Two new wine brands "Valleys of Georgia" and "Iveriuli" will occupy a niche in the middle and premium market segments. "Valleys of Georgia" and "Iveriuli" lines will include 20 wines that are consistently in high demand in international market. Total worldwide sales of these brands in 2011 amounted to about 1,440,000 bottles. Company expects to achieve sales of 90 - 120 thousand bottles under each new brand. 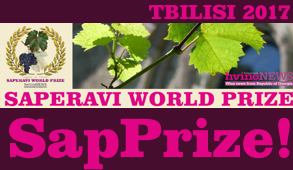 Tbilvino produces more than 78 wines, and includes four brands («Tbilvino», «Iveriuli», «Valleys of Georgia», «Special Reserves»). The history of Tbilvino begun in 1962. Currently, Tbilvino remains the largest producer of wine in Georgia. The company currently exports 95% of its products to 28 countries, including Ukraine, Kazakhstan, Belarus, Azerbaijan, Uzbekistan, Lithuania, Latvia, Estonia, Poland, Germany, Austria, France, Great Britain, Ireland, Finland, Netherlands, Sweden, China , India, Singapore and Canada. In 2011, sales exceeded 2.7 million bottles. He also said that President Saakashvili himself could secure restoration of exports to Russia, but had no political will to do that. He told his host that when several years ago he offered President Saakashvili that he would invest one billion in the country’s agriculture sector, the President refused “because he wants to keep people enslaved” in order to then easily manipulate them for electoral purposes by distributing meager allowances and fuel vouchers to farmers. 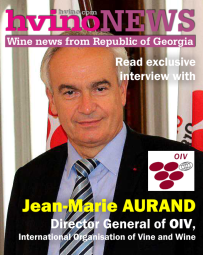 12.06.2012 (Hvino News) - Russia is an unreliable partner, but for the Georgian wine companies the Russian market is unambiguously interesting, - said George Margvelashvili, director of Tbilvino, Business Gruzia reports. He commented on the opinion of the Moldavian expert, Dr. Tatiana Laryushina, who pointed out that Russia re-imposed an embargo upon Moldova in 2010, and, in her view, it was a clear example of Russia being a highly unreliable partner. 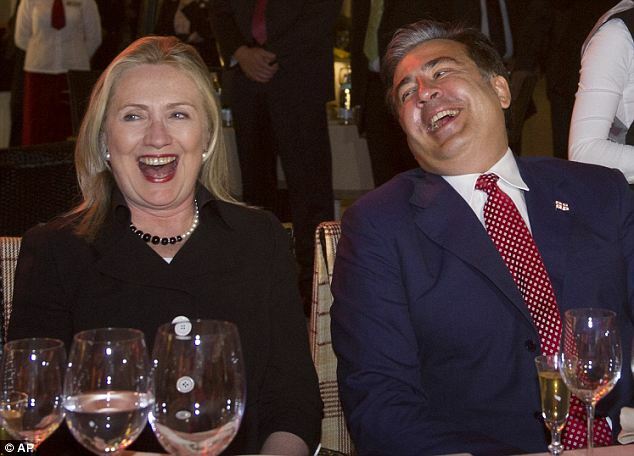 According to her, embargo on Moldovan wine was purely political measure of Moscow. According to George Margvelashvili, there is interest of Russian companies to Georgian wines, but the past experience and 2006's embargo would always be considered by the Georgian side. When asked if the Georgian side should take into account the experience of Moldova, Margvelashvili replied affirmatively, and said that the Georgian side should be cautious about the Russian market. Georgian authorities recently announced that opening of Russian market for Georgian wine is among top priorities for the coming years (read more here). Wine has been an integral part of the country's culture for millennia; so ingrained is viticulture in the country that imagery of grapevines can be seen adorning churches and public monuments. But a Russian embargo on Georgian wine imports imposed in 2006 has meant its vineyards have been transformed more in the last six years than the previous 8,000. Until the embargo, the country of 4.5 million people in the Caucasus region sold around 50% of its wine to Russia. A year after it was cut off from its biggest market, sales dropped by a further 25%, according to the Ministry of Agriculture of Georgia. 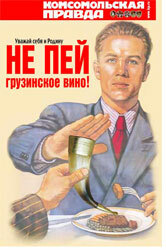 Safety concerns were the official reason behind the Russian ban on all beverages imported from Georgia, although many within the wine industry believe the move was politically motivated. "In 2004 the wine industry started its reforms and by 2006 (counterfeiting and sub-standard quality wine) was partly solved," says Levan Davitashvili, of Schuchmann Wines, an independent winery in Georgia. While little known to most wine drinkers in western countries, Georgia has traditionally had a reputation for producing the best quality wine from the region, especially among former Soviet states. 09.06.2012 (Hvino News) At prestigious wine competition "Les Citadelles du vin” in Bordeaux, France, Winery Khareba won two gold medals. Winery Khareba presented two varieties of its best wine: dry red wine "Saperavi Premium 2009" and dry white "Krakhuna 2011" - both of them won the highest award. Since 2007, every year in May, some 40 top level tasters from all over the world meet in Bourg-en-Gironde (Bordeaux, France) for three days to select the best wines. The closing evening for the 12th Citadelles du Vin wine competition took place in Bourg at Château Cheval Blanc, Saint-Emilion. This year, the competition presented 1,045 samples of fine wines from 32 countries to 50 carefully-selected wine judges. Any vintage was accepted, provided that the product had already been bottled. Entries were submitted by all types of producers: winegrowers, wine shippers, wineries, cooperative cellars, etc. The contest has now attained a significant level of samples and international recognition (70% of foreign wines), making the Citadelles du Vin one of the key competitions of the world. This Georgian red wine has the thickest, heaviest bottle I’ve ever come across. It was the most expensive bottle from a haul (or “a dozen”) I recently ordered in from Waitrose, and one of the more exotic of a set chosen specifically for their exoticness. Georgian wine may not seem particularly exotic to you, but I’ve never tasted any before and was hitherto wholly unaware of the nation (not US state)’s long history of wine production, and claim to being the “cradle” of wine – both of which are expounded on the label of this Orovela Saperavi. Saperavi, interestingly, is one of few wine grapes whose flesh, as well as its skin, has a red hue. I rather liked the wine, but I wasn’t as mad about it as some reviewers seem to be. It’s been hanging around for a while (six years, I guess), and sort of tastes like it could do with hanging around a bit longer; it was initially very tannic and acidic, displaying only some of the luscious fruit and complex sweet-bitterness suggested by the wonderfully spicy aroma. 06.06.2012. 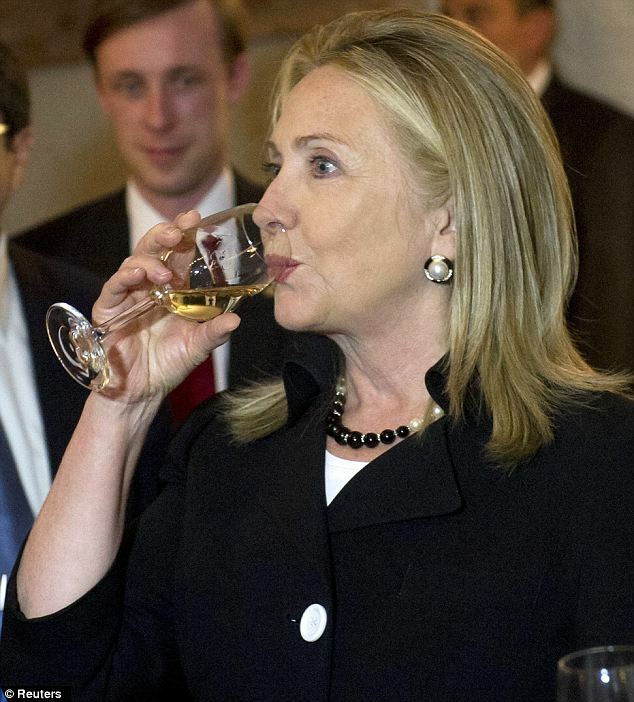 Hillary Clinton made sure to have a little fun on her latest official trip by taking some time out to taste the best wine that Georgia had to offer. The Secretary of State seemed to be in high spirits as she chatted with Georgian President Mikheil Saakashvili and surveyed a variety of wine at the Adjarian Wine House in Batumi, a beach town decidedly off the beaten path of high-level political conferences. She was pictured trying at least three different variations of the restaurant’s vintages, and laughing with the President and First Lady over champagne when they first sat down to dinner. 04.05.2012 (Hvino News) On May 29th Beverage Testing Institute in Chicago awarded medals to four wines from Gorelli Ltd. If this wine is anything to go by, Georgia has some real gems to offer. I tasted this last week in a Georgian restaurant near where I live in Islington, London. It retails for around the £20 mark, and at that price it's well worth it. French cabernet sauvignon vines taken to Georgia some time ago produce grapes mixed with the local Saperavi grapes to excellent effect. I found it not dissimilar to a Bordeaux but with a depth and aged taste that you'd expect in a much older wine from that region. It has superb length and a hint of mustiness. According to my waiter, it is also produced in an unusual way: "Produced in accordance with ancient wine making techniques dating back over 6000 years, the wine is fermented in clay vessels called Kvevri buried in the ground. Long, one-month maceration, followed by maturation for 24 months in oak barrels". One Saperavi made the Independent's top 50 list last year. - Georgia’s Prime Minister announced at the "European Foundation" conference that the opening of the Russian market would be one of the main priorities within the next 4-5 years [read more]. Will the government’s decision change the situation for the Georgian wine companies? 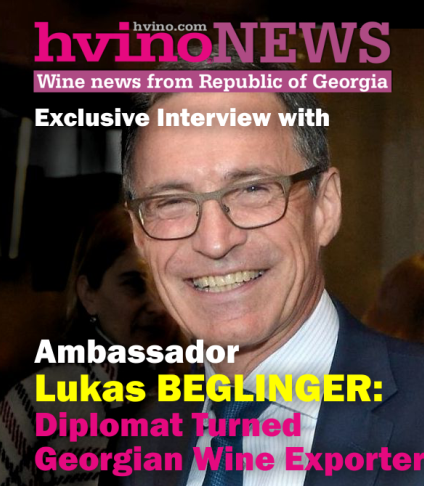 - I hope that the Georgian wine will return to the Russian market and I don’t doubt that steps made in this direction will be positive for the wine sector, because the market is powerful. Awareness of Georgian wine is high on the market as well as demand is great. - Much time has passed and, of course, the new companies entered the market, is there any interest from Russia to Georgian wine? - There is interest, of course. Russian distribution companies, which are interested in export of Georgian wine, do contact us, but so far the situation has been unclear. The market is still closed for Georgian wine. - Will the Prime Minister's statement lead to any changes in relations between the relevant agencies of the both countries? - As the Prime Minister made this statement, a dialogue between the agencies will presumably start. In particular, the relevant bodies of Georgia should work on the issue of launching negotiations with [Russia's] Sanitary Service. - What will the entry into Russian market change for your company? - I'll say directly, it will sharply increase sales, because before the market closed approximately 50 million bottles had been sold from Georgia. This is a very big figure. Therefore, not only for “Kindzmarauli Marani", but for other companies, which operated in this market until 2006, the sales figures will increase dramatically. 1.06.2012. Today we received statistical data on the first month of Hvino News, which opened officially on May 1st. The total geographical reach of our news service during first month of operation is 57 countries! The diagram shows geographical location of our readers according to Google Analytics, based on first month since opening (May 1 - June 1). 35% of visitors come from Georgia, 24% - from Russia, 17% - from EU, 12% - from USA and Canada, 12% - from other countries. Among "other countries" (grey-colored sector) most visits are from Ukraine, Hong Kong, and Poland. 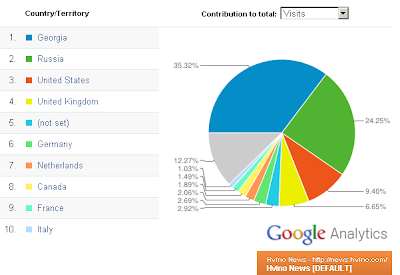 Our audience reads Hvino News in 40 languages, and average visit duration is 11 minutes. 45% are returning visitors, 55% are new visitors, which is an excellent proportion. We publish daily news updates at the average level of 1,5 articles per day, which means at least 3 news every two days. In addition to daily news, we now offer official documents, wine market databases, and a forum. During the first month, our content has been quoted by some world's leading wine industry media, including Drinks International, Just Drinks, WineSino and several news services. 1.06.2012 (Hvino News) Opening of Russian market has now become one of top priorities of Georgian government. Prime Minister Nika Gilauri named Russian market among the main directions for the next 4-5 years. The statements were made ​​yesterday during annual conference of European Foundation at Radisson Hotel in Tbilisi. Mr. Gilauri also noted that during this said period the principal directions were admission to NATO and conclusion of free trade agreements with the United States. "Of course, the loss of the Russian market and the global financial crisis has damaged our economy, but we were able to get out of it with minimal losses and quickly," said the Prime Minister of Georgia. A few months ago, Gilauri did not advise Georgian businesses to enter the Russian market. 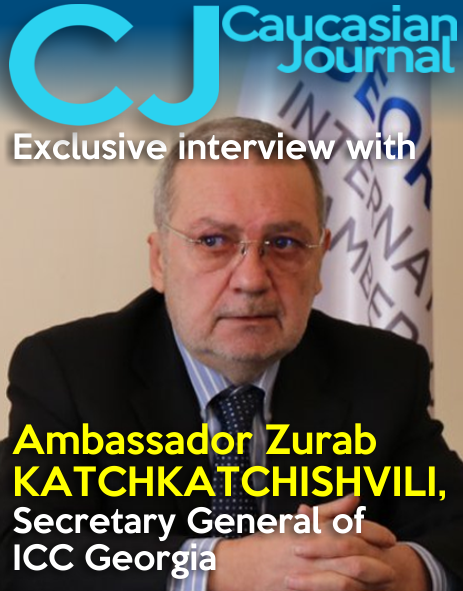 In November 2011 he said: "The Russian market might open for Georgian products, nothing is ruled out, but it cannot be the main driving force of the economy. Fortunately that is, because the country’s economy is greatly diversified". Russia has banned imports of Georgian products since 2006. At the end of last year Sanitary Service of Russian Federation agreed to allow Georgian wine and mineral water to enter Russian market, however there is no concrete result so far. Georgian lemonade has already appeared in the Russian market.